Açedrex is proud to announce the publication of a new book unlike any we’ve done before. In fact, I’m not sure there are any books similar to it on the market at all. Petra and Daniel have little use for the quaint fishing Village their parents have forced them to visit on holiday. They don’t know that this Village has a legacy of Dragons. Much more fun than exploring museums or picturesque ruins, a small stone on a lonely beach offers them the chance to perform magic, match wits with elementals, steal hearts, go to war, write poetry, escape from a pirate, and sail The Laughing Princess. Their dull, rainy world will never be the same. The stories themselves range from meditative to epic, with melancholy musings on love and one’s purpose in life as well as violent battles and the searing char of a dragon’s breath. If you’d like to read something new that nonetheless feels like a half-remembered fireside chat, this is the book for you. The cover features the dragon sculpture that inspired the first story Hamilton wrote, about a tremendous mountain which is really a dragon and the mere mortal who disturbs his slumber. New for Açedrex, this book will also be available as an audio download. You can read more about and by Seymour Hamilton by going to SeymourHamilton.com. 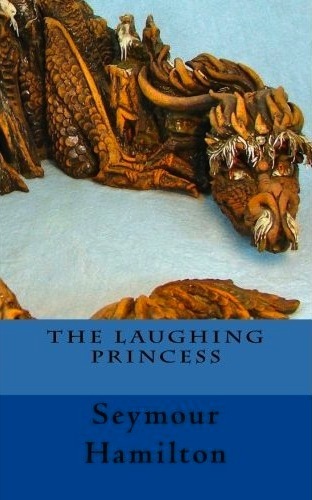 There, you’ll find links to downloads of free podcasts of The Laughing Princess read by the author. The ebook editions are available for only 99 cents now, but get it quickly! The price will increase this Friday night! The paperback is available at Amazon and anywhere else fine books are sold. Request it from your library or local bookstore! Una edición en español se hará disponible este otoño. This entry was posted in New Release and tagged Astreya, audio book, dragon, fairy tale, folk tale, princess, seymour hamilton, short stories. Bookmark the permalink.